A combination of neoprene and faux leather covering join to provide a double layer of protection to the horse" s foot. Neoprene makes these boots especially tough and able to take the daily abuse of riding in any discipline. The neoprene lining absorbs shock and will not cause rubbing against your horses" skin. Due to its flexible design, these are also great for horses that have had corrective shoeing. 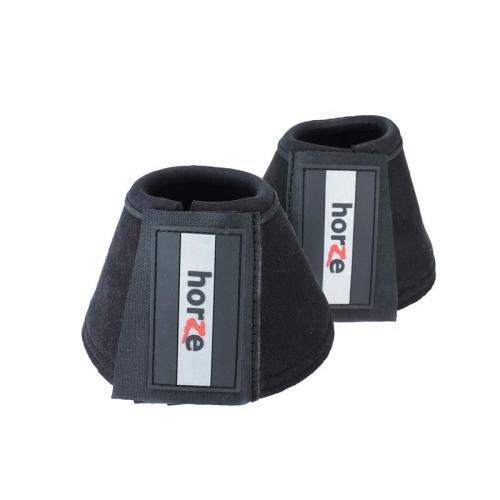 These bell boots offer a thin, light but excellent hoof protection. A Velcro strap ensures the boot remains secure in even the most adverse conditions. Close straps prior to washing. Machine wash cold on gentle cycle with mild detergent, line dry.